I made this necklace by stringing three faceted navy-colored glass beads onto a silver chain. 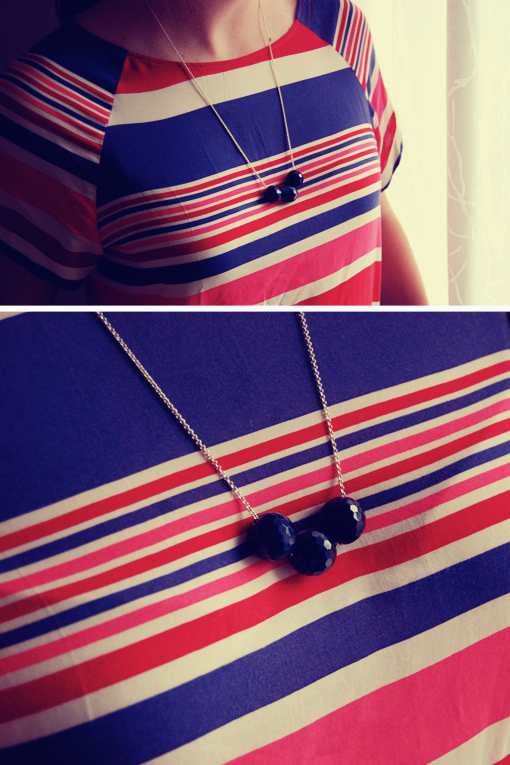 It's a simple but fun necklace that really accents many of my striped shirts well! And it's easy to make - try one out for yourself! !